The church of St. Stanislaus Kostka built in 1871 was the first Polish Church in Australia and its parish priest Fr. 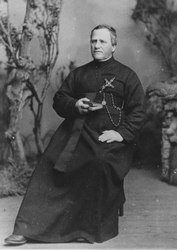 Leon Rogalski S.J. was Australia’s first Polish Priest. In 1950 St. Stanislaus Kostka’s church was deconsecrated. It fell into serious disrepair and the former church came to be used as a store by a local farmer. 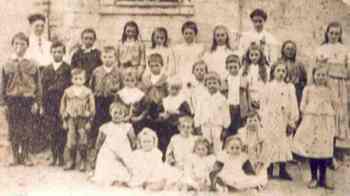 In 1971 restoration of the church and schoolrooms was begun by the Polish Community in SA. In December 1971 the Catholic Archdiocese of Adelaide transferred the title to the land on which stood the church and school with the title being held in trust by the Polish Federation of SA. In 1980 St. Stanislaus was placed on the register of State Heritage Item. In 1988 Polish Hill River Museum was officially opened by Monsignor Horgan. In 1996 as a result of a meeting called by the Polish Federation of Polish Organisations of S.A a committee was elected to organise displays in the museum and arranged for it to be regularly opened to the public. The museum opened on a regular basis from 1999. In the museum are exhibits and documents relating to the three waves of Polish Settlement in South Australia. POLISH PIONEER SETTLERS OF THE 19TH CENTURY. POST WORLD WAR II MIGRATION. THE SOLIDARITY MIGRATION THROUGHOUT 1980’s. PHOTO OF BAS-RELIEF MADE ON THE LINDEN BOARD OF AN OLD DOOR. Sculptor – Tadeusz Zielinski – prisoner of war (1940-42) in the Kozielski and Griazowiec Camps in the former Soviet Union. One of only 448 survivors from 14,500 Polish Officers who were prisoners of War in the former USSR. The work was created by Zielinski in secret and using steel rods as tool. 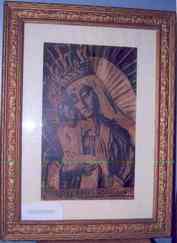 This picture was donated to the Polish Hill River Church Museum by Hanna Paszkowska whose father was also one of the survivors. 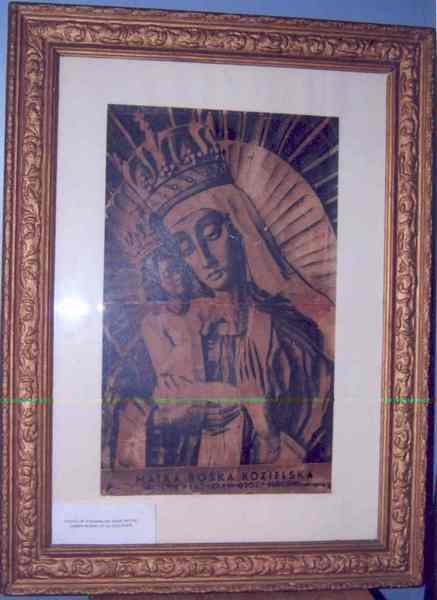 He carried this picture with him out of the prisoner of war camp and throughout various battle fields in Europe.